One of those pretty Round Top Backyard coops has just enough space to accommodate a 120W Siemens solar panel. 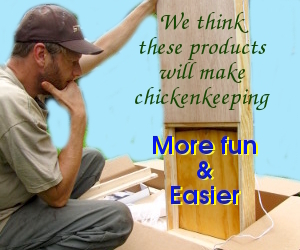 The panel provides shade for the chickens and being on the ground makes it easier to adjust the angle compared to roof mounted panels. Image credit goes to reddit user Tugrik.